In this anime series, a new Avatar must learn the skills of the airbender after mastering the control of fire, water and earth. While she's trying to learn, she has to deal with a rising antibending sentiment and the possibility of revolution. The series is a sequel to the Avatar: The Last Airbender series. The fate of the Earth Kingdom and the Avatar's life is threatened when Korra comes face to face with Kuvira. Bolin helps Opal and Lin save the Beifongs from Kuvira; Korra visits the Spirit World looking for help. Tenzin tasks Jinora, Ikki, and Meelo with a mission of the utmost importance - to find Korra. Korra's three-year journey of healing takes her to unexpected locations. 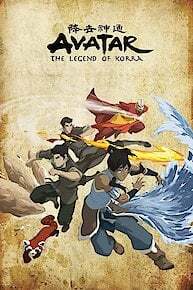 After succumbing to the poison, Korra enters the Avatar State and battles Zaheer, while Bolin and Mako duel Ghazan and Ming-Hua. The captive members of the Air Nation escape and band together to help Korra and defeat Zaheer, who they manage to recapture. However, the poison in her system forces Korra in a wheelchair and the young Avatar slips into a state of depression. Jinora is anointed as an airbending master by Tenzin, who also proclaims that the Air Nation will return to its nomadic roots and serve as the world's ambassadors for peace and balance. As Opal leaves for the Northern Air Temple to start her airbending training, Zaheer and his gang try to kidnap Korra. Although Korra's friends are able to prevent this following a climactic fight, they suspect that someone inside Zaofu has been aiding the enemy. Tenzin tries to train new members while dealing with Bumi's attitude. Korra practices metal bending. Lin takes an acupuncture session. Zaheer, Ghazan, Ming-Hua and P'Li escape Republic City. Korra and her friends make their way to the metal city of Zaofo. Korra discovers the Ice Queen's plan to recruit people. Team Avatar journey to Ba Sing Se to look for airbenders. In the third season premiere, Korra discovers that a major shift has occurred in the bending world. Go inside the making of Book 3, Epiaose 1: "A Breath of Fresh Air"
Go inside the making of Book 3, Episode 3: "The Earth Queen"
Go inside the making of Book 3, Episode 5: "The Metal Clan"
Go inside the making of Book 3, Episode 6: "Old Wounds"
Go inside the making of Book 3, Episode 8: "The Terror Within"
Go inside the making of Book 3, Episode 9: "The Stakeout"
Go inside the making of Book 3, Episode 10: "Long Live the Queen"
Go inside the making of Book 3, Episode 13: "Venom of the Red Lotus"
The Legend of Korra is currently available to watch and stream on Nickelodeon. You can also buy, rent The Legend of Korra on demand at Amazon Prime, Amazon, Vudu, Google Play, iTunes online.